Rice is so easy to make. Mexican rice.. not so easy. I could never get it to taste the way it was supposed to. I tried lots of different recipes over the years, and was really never successful with it. I was back home a few years ago, when I stopped to see an old friend of mine, who was just about to make dinner. And making Mexican Rice, to boot. She is an older woman, raised in Mexico, and taught by her grandmothers, mother, and aunts how to cook. The secret to Mexican rice, I’ve found, is to use salsa – aka Pica de Gallo. I recall the conversation pretty well..
She made the rice in a similar fashion to making Risotto. She melted some shortening, and then added the rice in, and stirred it well, until the rice was evenly coated. Then she dumped in a bunch of salsa, and again stirred it. She added some water, and a bit of beer, and continued to stir it, adding more water as needed, until the rice is done. I experimented with the recipe as soon as I could. I dropped the shortening in favor of vegetable oil, but the rest of the recipe is the same. The “heat” of the rice is purely dependent upon the type of salsa you use. The hotter, the better, in my opinion. You can make your own, of course. That is always fun to do. But this recipe, for me, uses a jar of salsa. 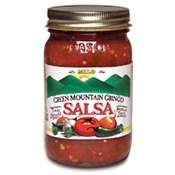 There are a lot of salsas on the market, but by far, my favorite one is Green Mountain Gringo Salsa – Hot. It tastes like the salsa my friend made – fresh, crisp, and without the chemicals. It literally has no preservatives. But whatever salsa you end up choosing, make it one one that you like the flavor of with tortilla chips or by itself. If the salsa is bland to you with the chips, it’ll be bland in the rice. Find one that you really enjoy and then use that. In a pot, heat the water – no need for boiling, but just simmering. Heat the vegetable oil in a large frying pan with deep sides, to a medium-high temp. Add in the rice, and stir to coat. Cook for about 30 seconds. Add in the salsa, and stir well. Once the rice has absorbed most of the liquid in the salsa (don’t let it get dried out), add in, by ladlefuls, the water. Stir until the water has been almost all absorbed, and add in more. Repeat this until the rice is done. At some point, towards the end, add in some beer. This is not really necessary, but gives a nice flavor. Use about 1/2 cup or so. Serve, topped with the cilantro. This entry was posted in Uncategorized and tagged food, Grains, Potatoes, Pasta, Mexican, mexican recipe, pica de gallo, rice, salsa. Bookmark the permalink. I’ve done this recipe three times now – and finished eating last one just a minute ago. This is a very good and simple recipe – a bit touch’n’feel in the beginning, when adding rice to the oil. 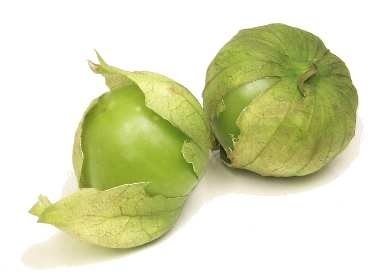 I prefer this with fried chicken pieces, which I add a bit after adding the salsa, that way they have time to acquire the taste of salsa. Definitely one of my favored ways to cook rice. Just made this tonight, with some adaptations (used chicken broth instead of water, forgot about the beer), and it was easy and fantastic! Thanks!